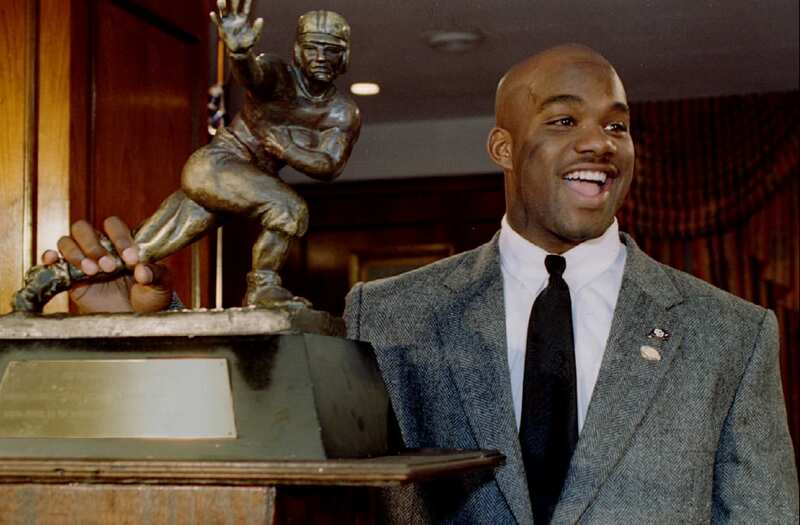 Former Heisman Trophy winner and NFL player Rashaan Salaam has died suddenly at the age of 42. Rashaan Salaam, who made a name for himself at Colorado as a Heisman winning running back, has died at the age of 42. Salaam won the Heisman Trophy in his final year at Colorado, also winning top honors in the Doak Walker Award and Walter Campbell Award. He continued his career in 1995 as the first-round selection of the Chicago Bears. His career there only lasted until 1997, as issues with staying healthy as well has hanging onto the ball plagued him. He was out of the NFL after a stint with the Browns in 1999, but attempted a comeback in 2002 with the 49ers. Salaam's football career existed outside of the NFL, as he played in the short-lived XFL before his failed comeback in 2002. His NFL career was hardly forgettable, as he rushed for over 1,000 yards in his rookie year, showing off what he could have been had he been able to conquer his other issues. ESPN's Adam Scheffer reported that Salaam was found dead in a park by police in Boulder. No signs of foul play were present at the scene of his death. Without a doubt, Salaam will be best remembered for his years at Colorado. He was at times the most dominant player in college football during his last years with the school, and will forever be a member of the illustrious Heisman club.